Balancing sub-adult growth and weight loss? I adopted my boy Tango, who is approaching two years old, about two months ago. He was being fed "1 to 2 adult mice" a week by his previous owner. I believe his sire was a big Okeetee. This seems like a good, normal growth rate…if he wasn't overweight. How does one balance maintaining or seeking weight loss for their snake when it is still growing? May cross-post this elsewhere for advice. I did a little math. At your current growth rate based on your figures, if the gain holds steady that's 243 grams a year. (Based on approx .67 grams average gain per day). That's a robust growth rate. So I'd suggest feeding small mice, not medium. Allow him to fast in shed. Make sure you get him out to get some exercise, and make sure your temps are good. Just by way of info, I feed my currently 277 gram two year old a 15 gram mouse every 8 days. She's currently growing at a rate of .59 grams per day average. However I expect her to slow down over the winter and will adjust her feedings to 10 to even 12 days. She speeds up in summer and slows down in winter. 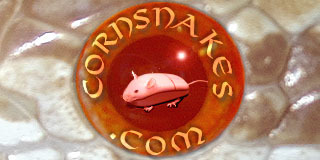 I don't like to feed any corn snake less than every 14 days except for shed so if needed I feed smaller prey. I can give you some numbers, but the truth is it is a combination of judgement, measurement and reading your snake's needs. Hope this makes some sense. Dollysmom, thank you for your input. Temps are correct and he gets handled on average, every other day (for a good while). I take him outside on the grass, in trees, climbing rocks and burrowing in soil, etc., so I'm frustrated at the gain. I have a big bag of mice that I do not want to waste. Can I cut them down? (Not squeamish, done it for years with raptors). Sure you can cut them down. Heck I just fed off a bonus fuzzy head I found in my bag o mice. You just have to cut size or increase interval until you find what works. Snake weight, if no disease or parasites are present, depends on prey size and quality, frequency of feeding, exercise, and heat. Already checked for parasites (negative). I know that heat helps to digest, but how does it affect weight? Within a reasonable range of course, warmer snakes digest more quickly and burn more energy overall. They need more food to maintain weight than a snake at a cooler temperature. Because my cool side temps go up a little in the summer and down a little in the winter, though it is far from cool enough to induce brumation, I take that into account when monitoring my snakes' growth/maintenance weight and determining how much and how often to feed. P.S. I'm not suggesting you raise your warm side temp to induce weight loss. Your snake definitely needs a stable and proper temp there. I'm simply noting the seasonal changes I encounter that many of us heating and cooling northern homes may encounter as well.